End of Year Sale Extended! Get Exhibitor Ready! 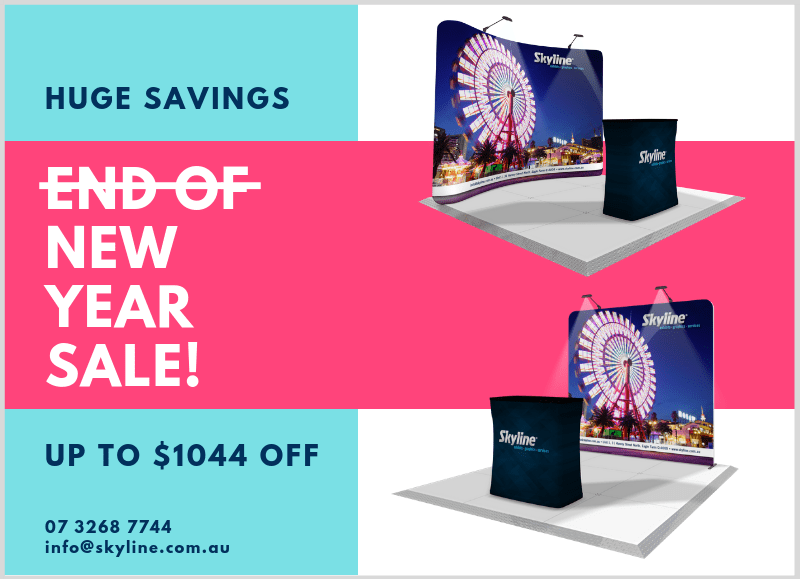 Purchase a Stretch Fabric Wall Exhibitor Package before 31 January 2019 and save up to $1,044! and Branded Fabric Graphic and a set of 2 LED Lights.Various size options available including 2.4m, 3m and 6m wide walls. Complete the form below and your Skyline Project Manager will be in touch.